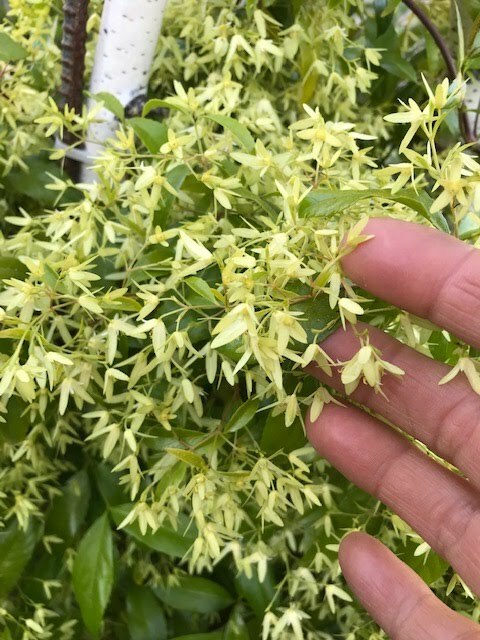 I saw this vine blooming at San Gabriel Nursery about 2 years ago and thought it was super cute. 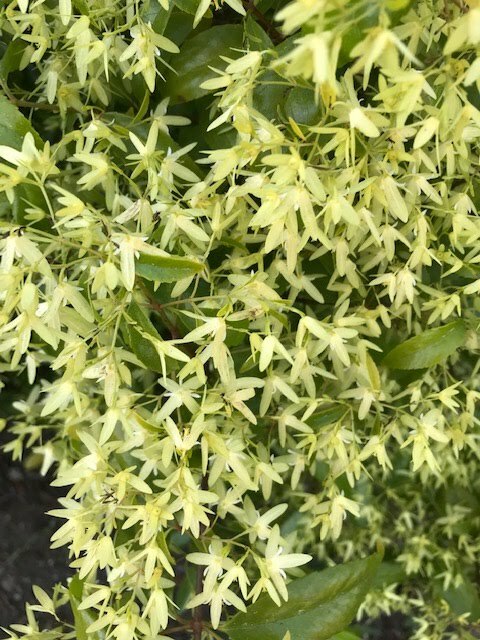 Aphanopetalum "Gossamer Wings" has pale yellow greenish flowers and glossy leaves. Say "AF-an-O-pet-uh-lum". I had never seen it before, not in anyone's yard, at any Botanic Garden, nor at any other nursery. I thought about it for a few months. 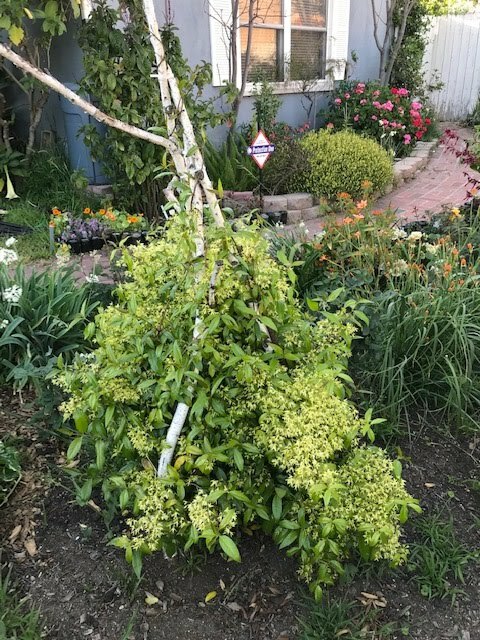 That Fall, I bought a one gallon plant and planted it in my garden on a birch branch teepee. 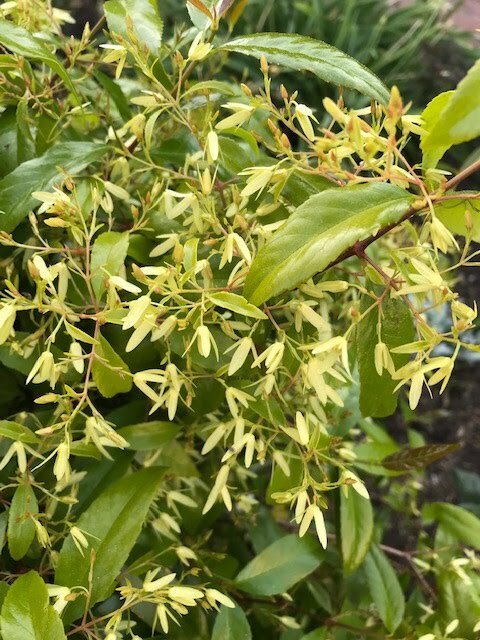 It is from Australia and said to like shade or part sun. I planted it on the east side of our house. It got some shade from our big Cedar tree. Well, if you have been reading awhile, you know that unfortunately we had to remove that big tree last February. I think the vine has been in for about 2 years and it looks great this year despite the extra sun it receives now. San Marcos Growers says it will only grow 2-6' and that it is drought tolerant. My teepee looks a little wonky. But the plant is doing very well. And the flowers are so cute I can barely stand it. It's been blooming for about a month.